"I just wanted to thank you for your wonderful presentation to the Jane Austen Society in Louisville. It was both completely informative and equally entertaining." "The public was greatly entertained and we had so many positive comments about the Doctor’s demonstrations that we truly hope he will attend our fair next October." 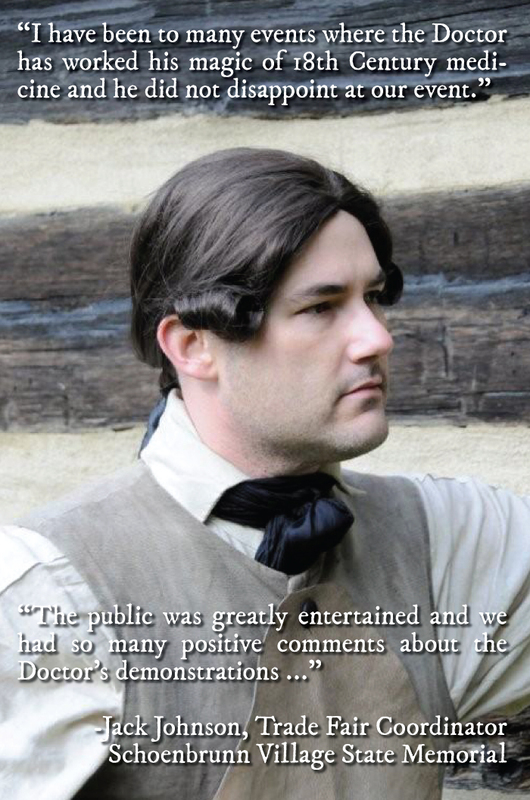 "Mr. Roberts does an amazing job interpreting an era of Tennessee history that is too often forgotten. He is devoted to the art of bringing history to life and generously shares his knowledge and skills with those lucky enough to cross his path. The Doctor is a #1 hit with students attending our (annual) Trades Festival and The Spring Sampler." "[the Doctor] did a wonderful job relating to the children and looked magnificent in costume. I just wanted to stay for the entire session." "The Doctor strolled onto our campus and never once broke character. 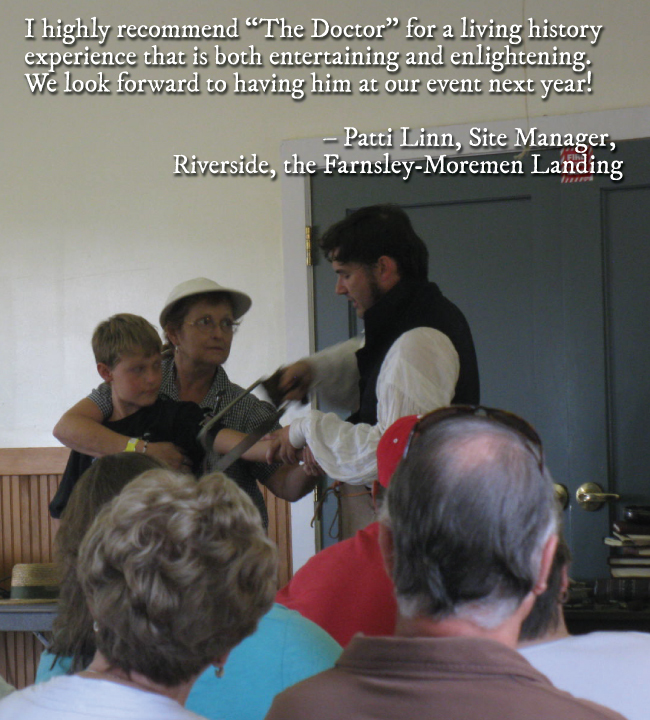 He brought the 18th Century to Currey Ingram in his own great style. His performance delighted adults and students alike and kept them on he edge of their seats. They enjoyed the wax sealing exercise and held onto those papers like a treasure." "You are amazing! Thank you for all that you do to keep history alive!" "Thank you for what you are doing, it's appreciated by us all at Sea Rats Atlantic."